welcome to the dark side of the tube. black, white, and friendly all over. a friendly force of nature. ok, we’ll stop. 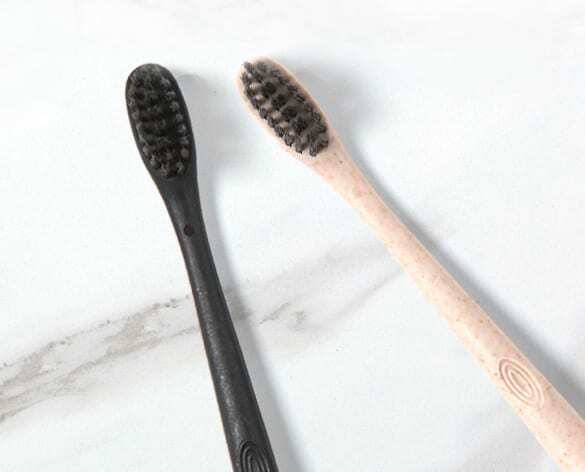 we’ve got a million puns about black toothpaste, but we’re serious about how awesome it is to brush with our fluoride free activated charcoal toothpaste. 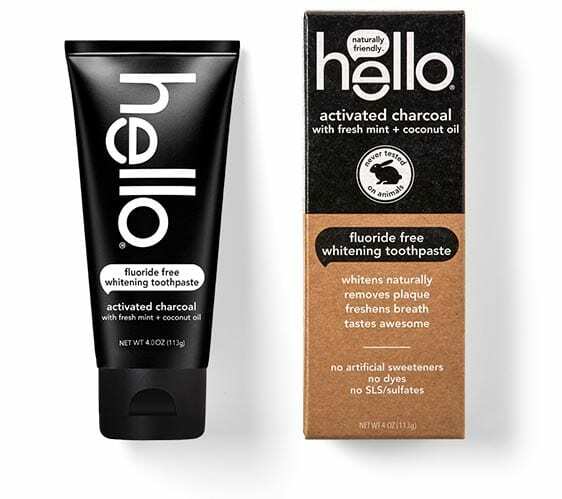 our activated charcoal toothpaste is thoughtfully formulated with sustainable bamboo, a natural detoxifier and odor-reducer that’s super-effective at whitening and polishing. beyond whitening teeth activated toothpaste, it kicks plaque to the curb, and takes care of your mouth with coconut oil and your breath with fresh mint, spearmint, and peppermint. oh, and in case you missed it, the paste is black. a friendly word of caution: black paste can get a little messy if you’re not mindful. please remember to spit responsibly, clean your sink, and make your mamma proud. 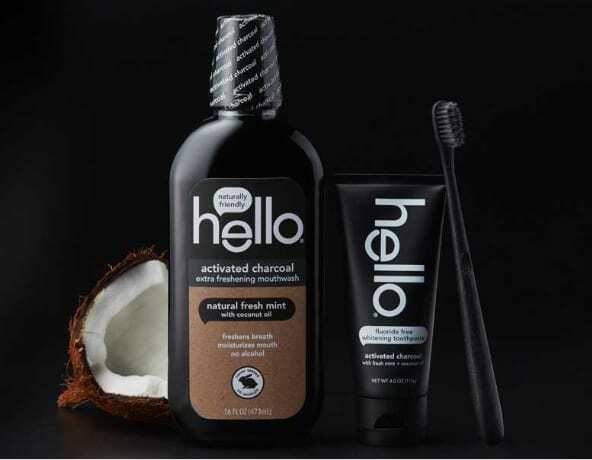 hello charcoal teeth whitening toothpaste is fluoride free, vegan, and free from, sls/sulfates, artificial sweeteners/flavors, parabens, microbeads, triclosan, and gluten. like all of our pastes, it’s made in the USA with globally sourced ingredients in BPA-free tubes, and of course, we never test on animals-that would be insanely unfriendly. brush happy. sorbitol (humectant), hydrated silica (polishes and cleans teeth),vegetable glycerin (soothes and moisturizes), xylitol (sweetener), purified water, charcoal powder (whitens, polishes and cleans teeth/ freshens breath), flavor (freshens breath), xanthan gum (thickener), titanium dioxide (mineral), cocamidopropyl betaine (cleanser), sodium cocoyl glutamate (cleanser), coconut oil (soothes and moisturizes), potassium sorbate (maintains stability), stevia rebaudiana leaf extract* (sweetener). 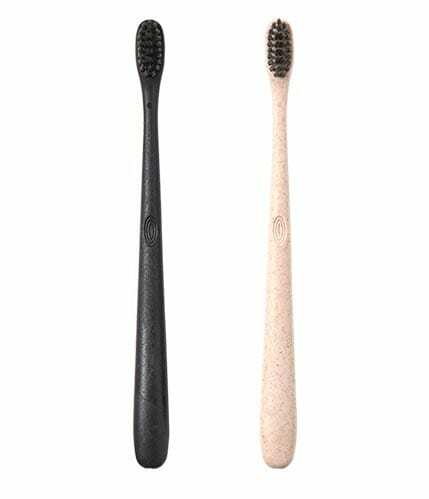 apply at least a 1 inch strip of the product onto your fave soft bristle toothbrush. 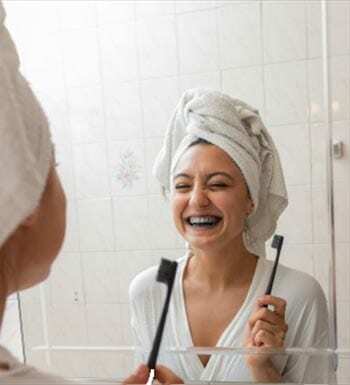 brush teeth like a boss (aka thoroughly), for at least 1 minute, preferably after each meal or at least twice a day (morning and evening) or as recommended by a dentist or physician. look in the mirror, dig your black teeth and take a selfie. children under 12 years of age: consult a dentist or a physician. this fluoride free, alcohol free rinse is thoughtfully formulated to make swishing fun and friendly. It rocks activated charcoal from sustainable bamboo, a natural detoxifier that keeps breath next-level fresh.